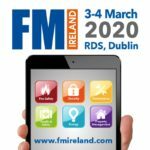 FM Ireland will take place on the 3 – 4 March 2020, at the RDS, Dublin. FM Ireland incorporates Health & Safety & Fire Safety in Ireland. It is an opportunity to see and hear the latest in New Ideas, New Technologies, Best Practice, Products, Services, Suppliers and Solutions. These can help deliver safe and secure working environments that are cost effective and which add value to an organisation. The Bicsi UK & Ireland Annual Conference will take place on the 12 June 2019 at the American Square Conference Centre, City of London. It is all about the Networking. This event delivers a targeted audience of Buyers, and Decision Makers. By registering to the conference you are actively seeking the information on products, services and solutions that can benefit you and your team. 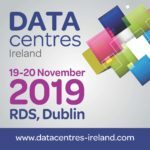 The largest national gathering of its kind, DataCentres Ireland is a free event bringing together owners, operators, suppliers, investors and innovators under one roof.